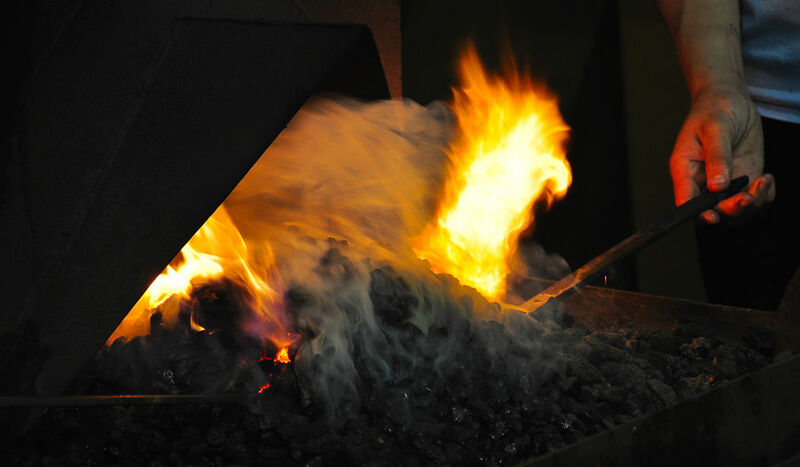 Blacksmithing is offered as a daily “block” activity meeting all morning or afternoon. Campers must be 10 years of age or older to participate. 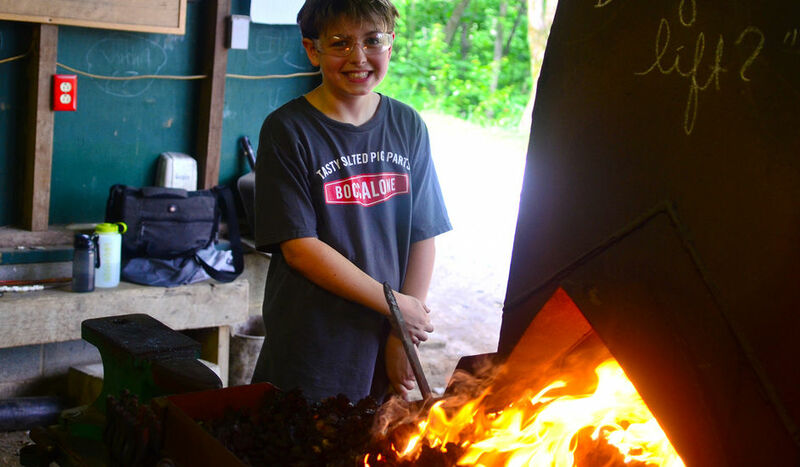 We start with a safety clinic and then begin learning blacksmithing techniques. 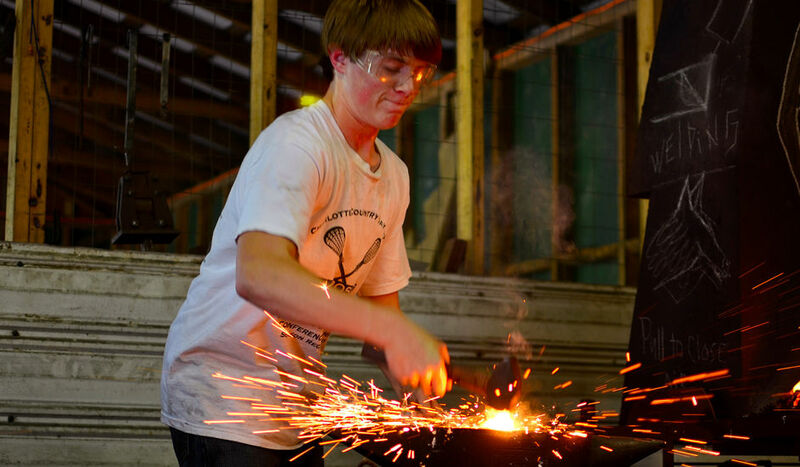 The program has a well established progressions and many campers set the sights on the highest rank of Blacksmith Apprentice(Warrior). Working in the blacksmith shop requires proper clothing. Campers need to wear bluejeans and closed toe shoes. Due to sparks, shirts and pants need to be 100% cotton – no synthetic clothing. Sandals or crocs are not permitted.